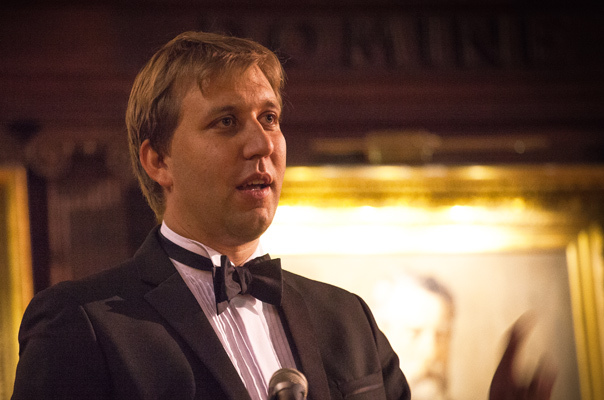 Chris Lintott, Co-Founder of the online crowdsourcing project Galaxy Zoo, where members of the public can volunteer their time to assist in classifying over a million galaxies, was awarded an OII Internet and Society award in recognition of Galaxy Zoo’s outstanding contributions to research by using crowd-sourced citizen science to capitalise on the availability of online big data-sets. Chris said: “The hundreds of thousands of people who have taken part in Galaxy Zoo have demonstrated the capacity of citizen scientists to make real contributions to research, and through the Zooniverse platform inspired countless others to discover planets, explore the Serengeti and even help keep an eye on plankton”. Chris Lintott is a researcher in the Department of Physics in the University of Oxford. He is involved in a number of popular science projects aimed at bringing astronomy to a wider audience, and is the primary presenter of the BBC series The Sky at Night. He read for a degree in Natural Sciences from the University of Cambridge, and received his PhD in astrophysics from University College London, with a thesis on the subject of star formation. OII Director of Research, Dr Mark Graham said: “In an era where social science is having to adapt to the promises and challenges of big data, we’re delighted to honour Chris and his colleagues at Galaxy Zoo, whose efforts have demonstrated the huge potential of involving ordinary Internet users in helping to tame the data deluge”. Chris is a fellow of the Royal Astronomical Society, and a research fellow at New College, Oxford. He has also served as the Director of Citizen Science at the Adler Planetarium. His research focuses on galaxies, galaxy evolution, and on the application of astrochemical models of star formation to galaxies beyond the Milky Way; particularly the use of sulphur compounds as a signature of stars that are in the process of forming. The award was presented on 8 November 2013 in Oxford, at an awards dinner.